When talking about Bagan food, many people say that they don’t know what to eat in Bagan, Myanmar. 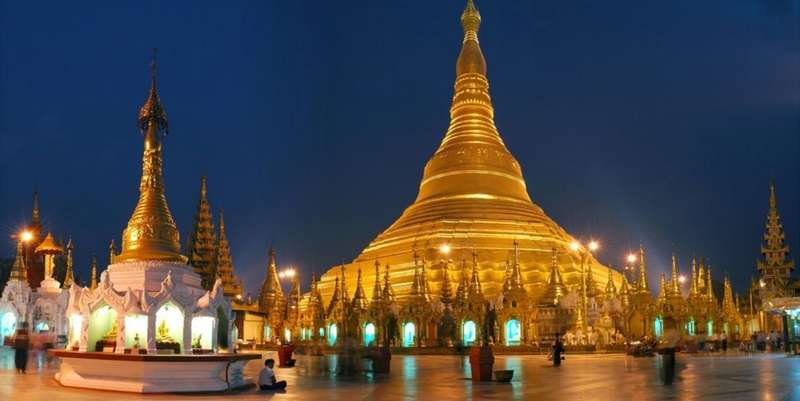 This question is also a puzzle for those who are making a trip to Myanmar for the first time. So today it is a good opportunity to present you delicious dishes in Burma. The gastronomy of Bagan in Myanmar is not as rich and diverse as that of Vietnam. However, under the magical hands of the people here, the people managed to invent tasty and fascinating dishes. We have chosen for you good addresses where you can fully enjoy the culinary flavors of the land of golden temples during your Burma tours. If you are looking for a delicious and cheap restaurant in Bagan, BBQ Harmony will undoubtedly be an interesting address. The restaurant has everything to please you. You will certainly be surprised by its rich, delicious and appetizing menu. In addition, the staff here is really nice and enthusiastic. You can discover the Burmese cuisine at an affordable price. Indeed, a barbecue meal in this restaurant costs between 1,000 and 3,000 kyats (about 0.7- 2.1 USD). It is a restaurant that serves grilled dishes such as pork, beef and lamb skewers, as well as other varieties of seafood and vegetables. Coming here, customers will realize that servers only start cooking when customers have made their choice. Visitors can take or eat Bagan food on site. Depending on the experience of many tourists, it is recommended to eat on site as it is an outdoor restaurant. You can enjoy good food, while discussing and witnessing the process of cooking. Located in the old town of Nyaung-U, this restaurant is luxurious, comfortable and cozy. In this restaurant you can easily find many dishes from Asia, Europe, China, Thailand and the traditional Burmese cuisine. Good food, friendly staff and a reasonable price are the advantages which explain its success. Queen Restaurant is the ideal place of eating for tourists on their Myanmar travel. The popular restaurants here are rather tasty and cheap. They are usually located on Wetkyi In, Nyaung-U Road, close to the Harmony BBQ. Here you will be served typical dishes such as Queen Restaurant. Nevertheless, these are vegetarian dishes. If you are a vegetarian or just want to enjoy a healthy and balanced meal, these Burmese restaurants await you. The Golden Emperor is one of the typical addresses of the city. Moreover, during your trip to Bagan, Myanmar, you can visit the Moon restaurant to enjoy the Burmese gastronomy with delicious traditional dishes. The cream dishes well prepared by the chefs are very famous. This restaurant is also located next to the Golden Emperor Restaurant and near the famous Ananda Temple. Enjoying a buffet in the way of the people in Bagan, Myanmar will be a very interesting experience. By going there, tourists will enjoy delicious and unique Bagan food for only 3,000kyats. This award, which includes even the price of drinks, is quite attractive to discover the richness of the Burmese gastronomy. A traditional buffet in Bagan, Myanmar often includes pork, beef, soup, salads and traditional Myanmar dishes. When you finish a dish, employees will automatically bring you a new one. This information may be useful for those who want to make a trip to Bagan, Myanmar. They provide us with good addresses to discover the Burmese cuisine. However, these restaurants are just a small part of the local gastronomy. For a successful trip to Myanmar, it is important to check with professional travel agencies.